Some campervan hire companies really are aware of the cost of running their vehicles, and choose to hire out campervans which provide better fuel economy. One example is Enviro Campers operator THL, who also take environmental responsibility very seriously -- in conjunction with VTNZ, New Zealand's leading vehicle testing company, THL has introduced a rigorous vehicle emissions standards test - the VTNZ Five Star benchmark - which far exceeds the equivalent European emission standards. But campervans also need some help driver-side to be fuel efficient and lessen the environmental impact. Here are some tips for fuel-efficient driving; they're really simple and you'll be surprised at the savings you'll make when campervanning around New Zealand. By the way, if you're looking for a fantasic deal on New Zealand campervan hire go to http://campervanhirenz.co.nz. Stop gradually for red lights. Don't accelerate hard from rest, but let the car move off gently. Ease off the pedal if the traffic lights, speed limit or traffic flow is about to change. Corners -- slow gently, exit the corner on a light throttle. 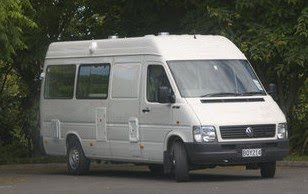 Remember, get a fantasic deal on New Zealand campervan hire at http://campervanhirenz.co.nz.